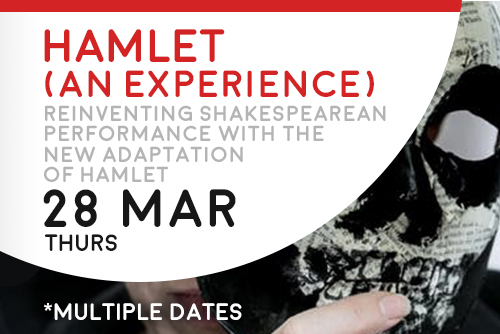 After inaugurating Draper Hall first season in 2016 with their award-winning Richard III (A One Woman Show), Brite Theater are once again reinventing Shakespearean performance with their new adaptation of Hamlet directed by Kolbrun Bjort Sigfusdottir. Emily Carding plays Hamlet and you, the audience, are the players arriving at Elsinore. Hamlet needs your help to take on the roles of his friends and family and resolve the great questions of life. Journey through the play together and become immersed in the story like never before. Hamlet has the questions. Do you have the answers?